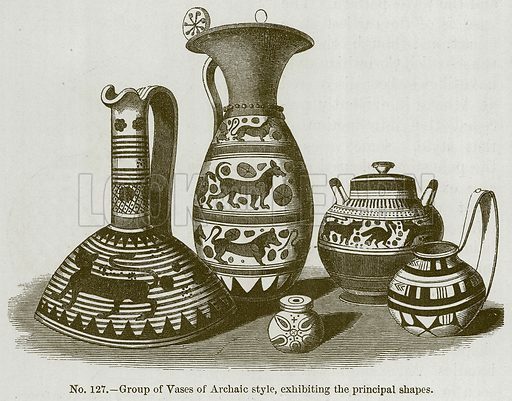 Group of Vases of Archaic Style, Exhibiting the Principal Shapes. Illustration for History of Ancient Pottery by Samuel Birch (John Murray, 1873). Available worldwide for immediate download up to 4,520 x 3,540 pixels.